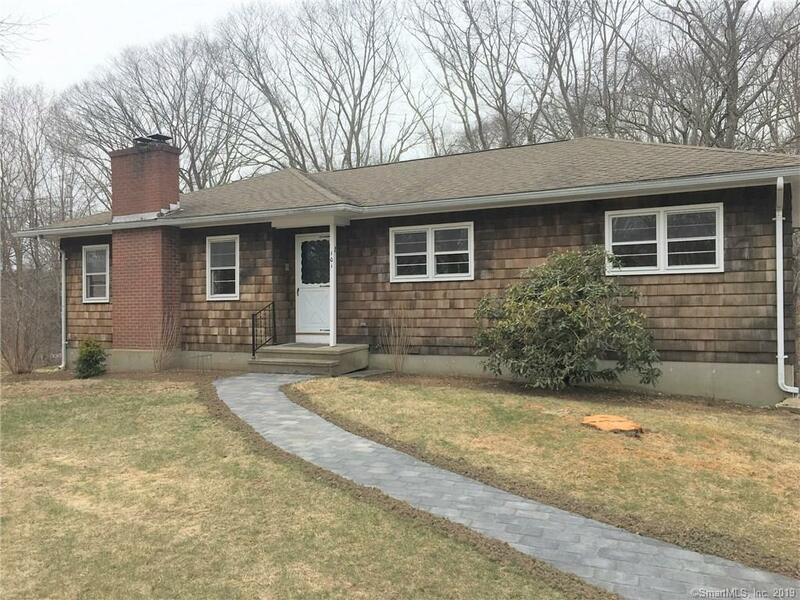 101 Oral School Road, Groton, CT.| MLS# 170180878 | Eastern Connecticut - Homes for Sale...from Mystic to Moosup & More ! From the Shore to the Country ! Great, updated high ranch on the Groton side of Mystic! Hardwoods just refinished, large windows to let the natural light in and a white brick fireplace. Granite countertops and new kitchen floor make this place shine. One full main bath and powder room off master with expansion possibilities. Full walk-out cellar below has many possibilities. Large lawn! Please take of shoes or use booties! Directions: Cow Hill, To Oral School.